The ABC’s of Titles for Tiny Tales is a mixture of fun titles, vibrant illustrations, and creative page borders. This extraordinary book is filled from A to Z with child-friendly writing prompts that may be used by teachers and parents to challenge children to write or tell stories of their own making. 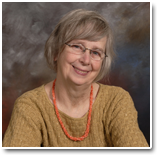 This book may launch a child forward to a writing career. "Mary Lee has once again focused on a subject that needs attention. Her second book, "When Grandma's False Teeth Fly" dealt very subtly, but quite effectively, with bullying. 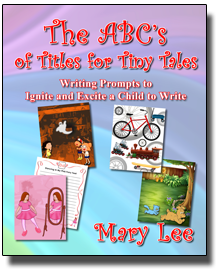 "The ABC's of Titles for Tiny Tales" has writing prompts to ignite and excite a child to write. It is the perfect answer to.... "How do we encourage our children to write and enjoy the art of reading?" The digital age, with all its splendor and awe, has jeopardized the art of penmanship. Will our children be able to write without computerized assistance? This book has so much to offer towards positive results for both parents and educators. It has beautiful pictures that almost leap from the pages and space for them to start their own stories. Congratulations, Mrs. Lee! Your books always offer hope and encouragement for young readers..."
"As the books says... "Every story begins with an idea..." The author Mary Lee has done a magnificent job creating a way to learn the letters of the alphabet by allowing the child to practice writing within the pages of the book! The illustrations will grab your child's attention and spur his/her imagination to write and form letters beautifully. The book is great for early letters writing skills or for children learning to write sentences using the letters and illustration to help create their very own story through every page. If you are tired of the letter X always standing for X-ray you will see how much thought and education went into this book as X stands for Xebec, and encourages you to Look It Up! It actually has a wonderful illustration and definition too. I am sure parents will find themselves learning something new along with the children. Not only would I highly recommend this book for a learning and teaching tool I recommend you but all 3 of Mary Lee's books as My Air Force Mom is great for anyone interested in military life and When Grandma's False Teeth Fly, a humorous story that teaches children the effects of bullying and how you deal with it. You will not be disappointed as these books will be treasured by your little ones and become fast favorites."